Landlords should ready for tenancy law reform in the wake of a new government-commissioned review of the housing market, which is damning in its conclusions. Housing and Urban Development Minister Phil Twyford today released “A Stocktake of New Zealand’s Housing” and it finds that the housing crisis is deeper and more entrenched than previously revealed. Twyford says it paints a sobering picture of the devastating impacts of the housing crisis, which include transience and substandard housing, particularly on children. The review assesses the entire housing continuum from homeownership and market renting, to state housing and homelessness, and the social cost of substandard housing. It points to a hidden floating population of homeless, a drastic slump of home ownership among Maori and Pacific people, and a ticking time bomb when it comes to the impact of housing affordability issues for the elderly. For landlords, one of the major findings is that private rental housing tends to be of poorer quality than owner-occupied housing and the tenure of rental housing is more tenuous than home ownership. With no regulatory enforcement and as demand has out-stripped supply, there have been few incentives for landlords to maintain or improve the quality of their rental houses with 32% classed as “poorly maintained”, the report says. This means tenant households tend to have higher housing costs relative to their income and to suffer poorer health and educational outcomes. There are also few incentives for landlords to have fixed-term tenancy agreements longer than 12 months, which precludes rent increases for the duration of the tenancy (unless otherwise agreed), the report says. In turn, this leaves most tenants with little security of tenure, with the average tenancy coming in at two years and three months in 2017, and no effective protection against frequent six-monthly rent increases. The report authors say that private rental housing will feature prominently in the future housing landscape, even if more social housing is built and home ownership options for first time home buyers are improved. For this reason, they see a fundamental review of tenancy law, which provides greater security of tenure for tenants and encourages professional landlordism, as being an important and overdue social policy challenge. Economist Shamubeel Eaqub, who is one of the report’s authors, says it is necessary to move to a tenancy model where landlords to look after tenants and provide housing, rather than simply taking capital gain. 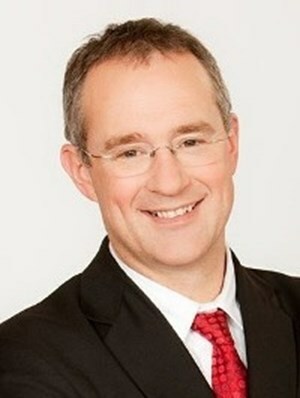 Twyford has already confirmed that he wants to introduce legislation to reform the Residential Tenancies Act by the end of this year. At the release of the stocktake, he reiterated that the government is committed to addressing the inequality revealed by the review. The government’s plan of action to do so includes improving conditions for renters and rebalancing tax settings to discourage speculation.